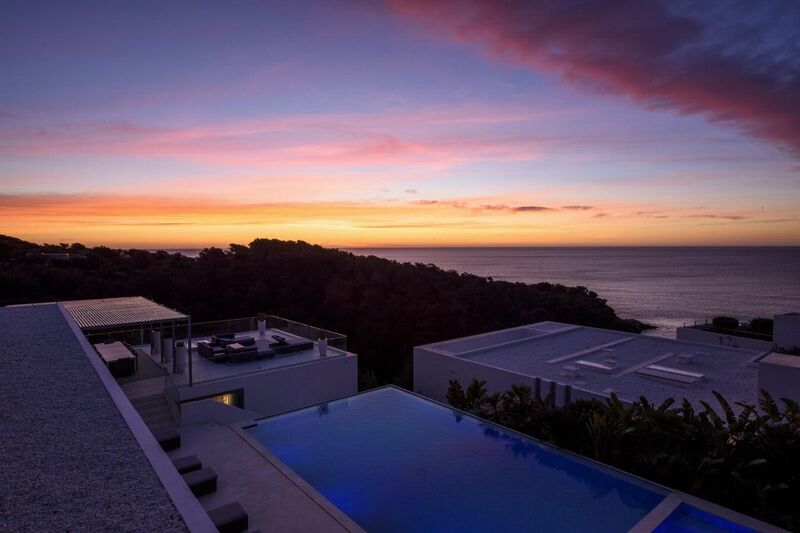 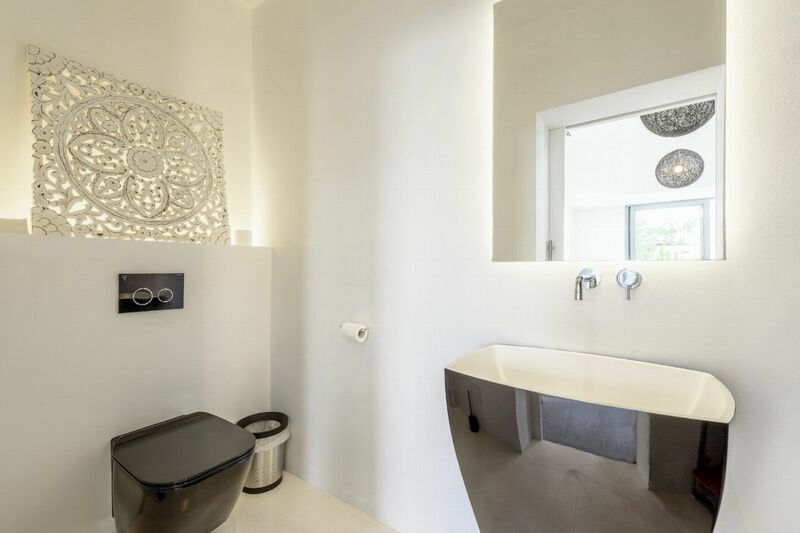 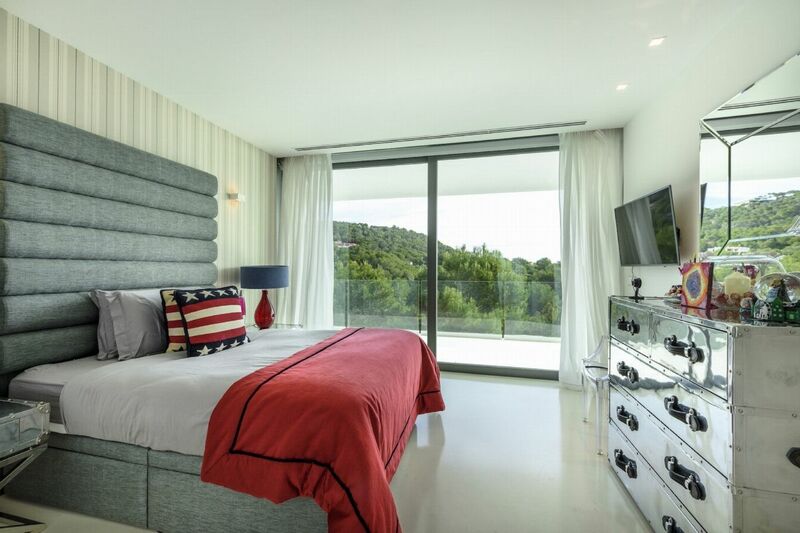 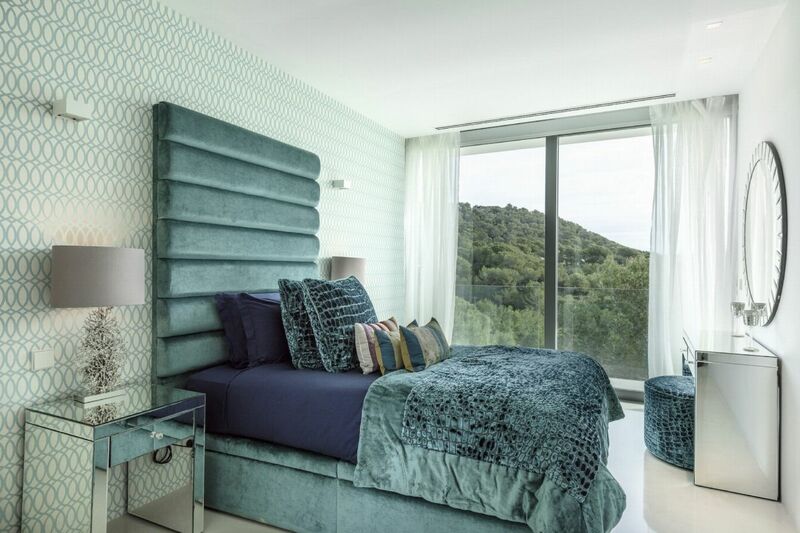 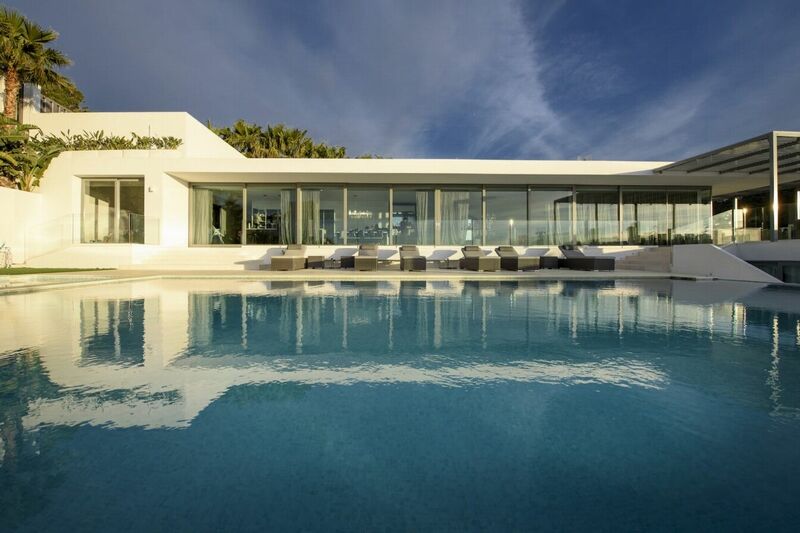 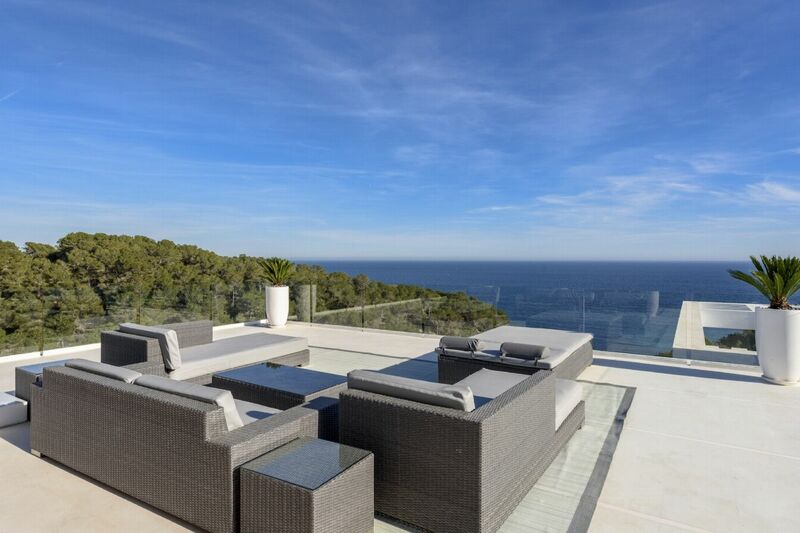 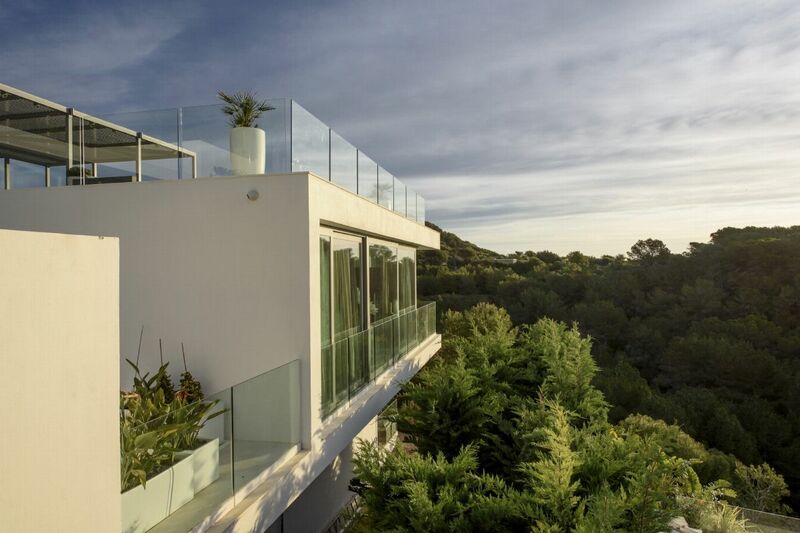 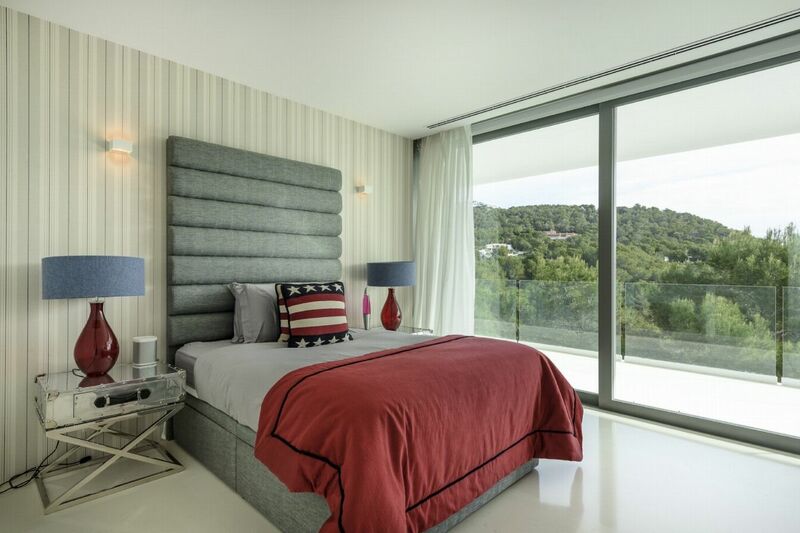 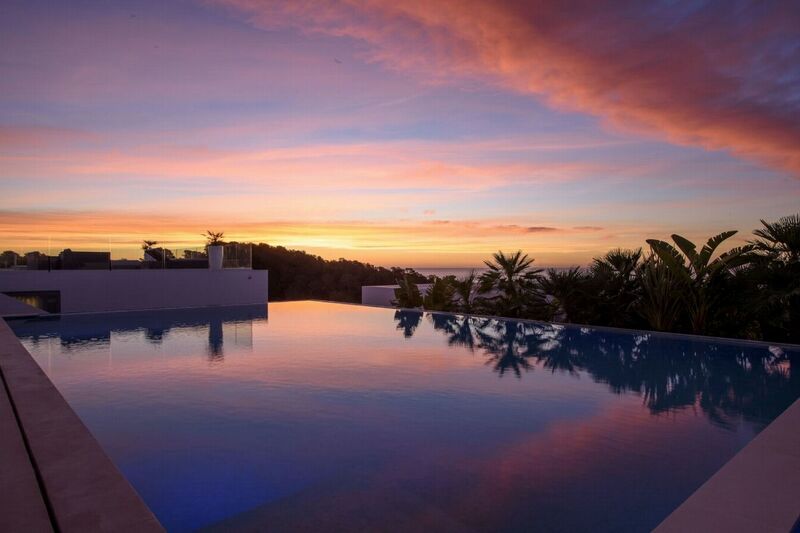 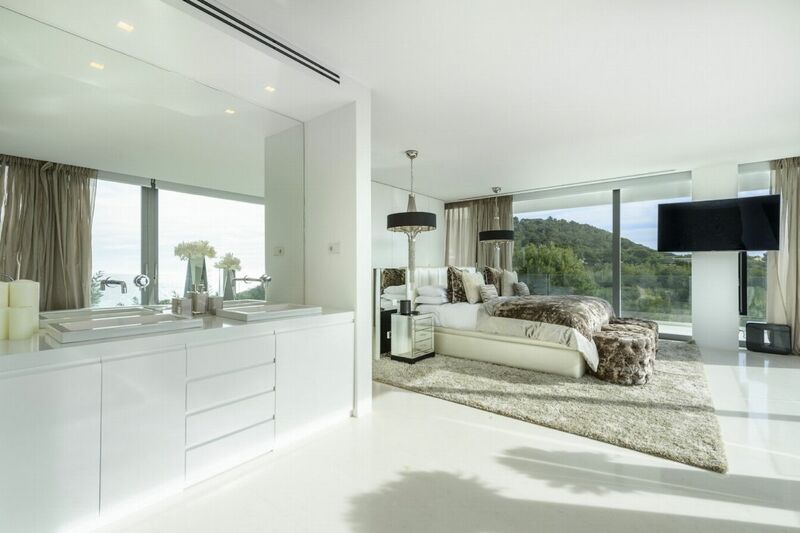 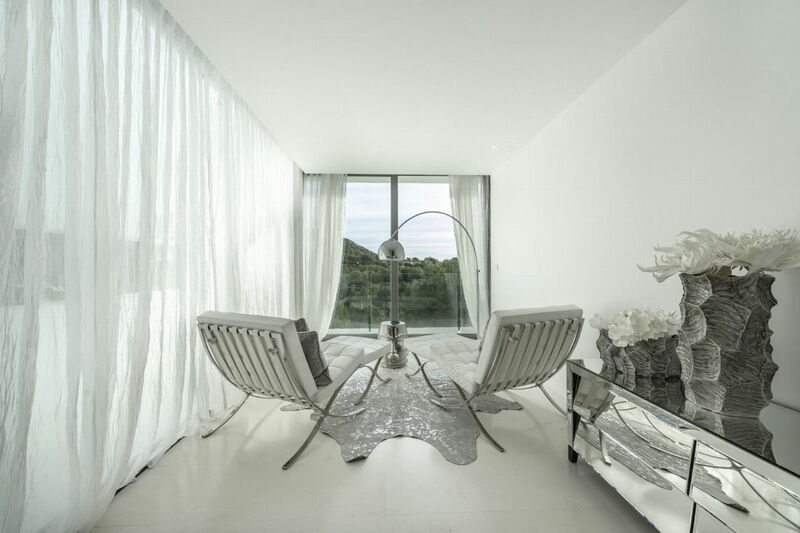 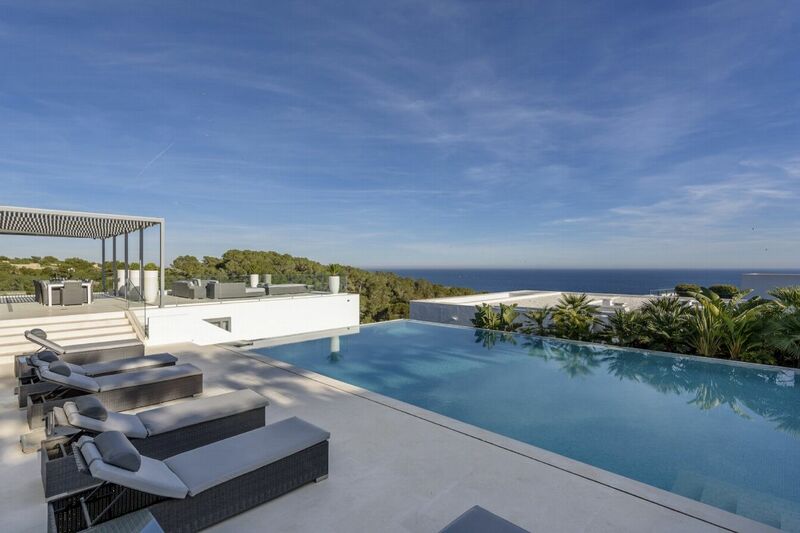 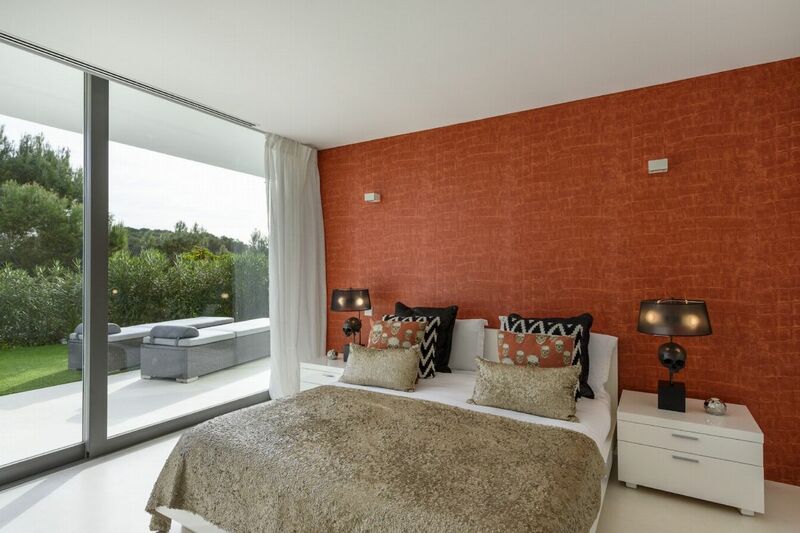 This magnificent property located in Cap Martinet offers the privacy of your own Ibiza villa â€“ with all the amenities and services of five-star hotel, it sits right next door to the Marina Botafoch and is just a stoneâ€™s throw from the centre of Ibiza Town. 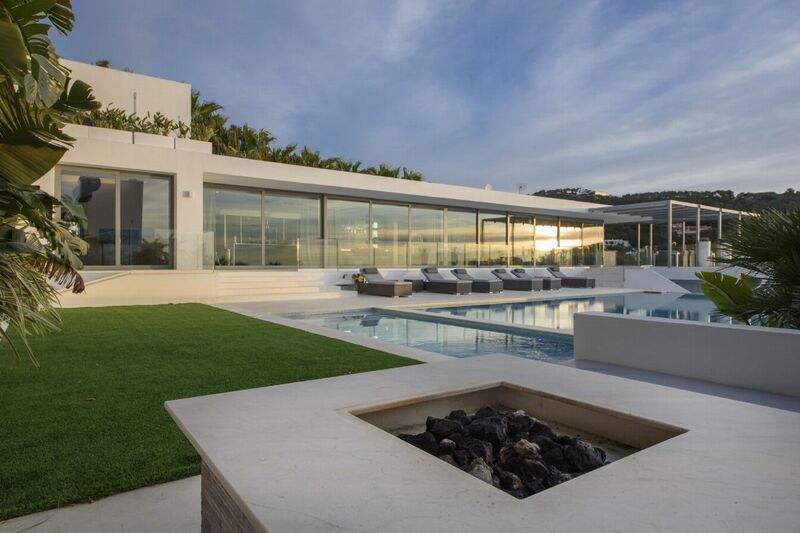 There are infinite possibilities for relaxation and party â€“ both here in this stunning property and in the surrounding area. 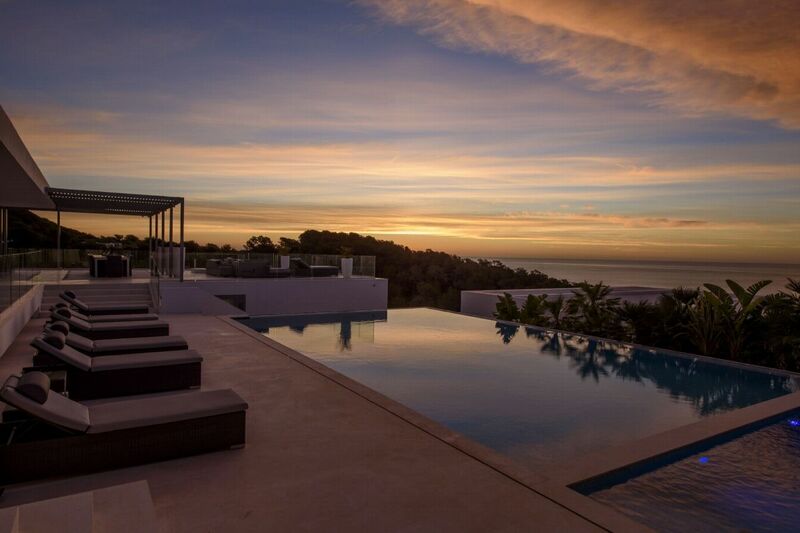 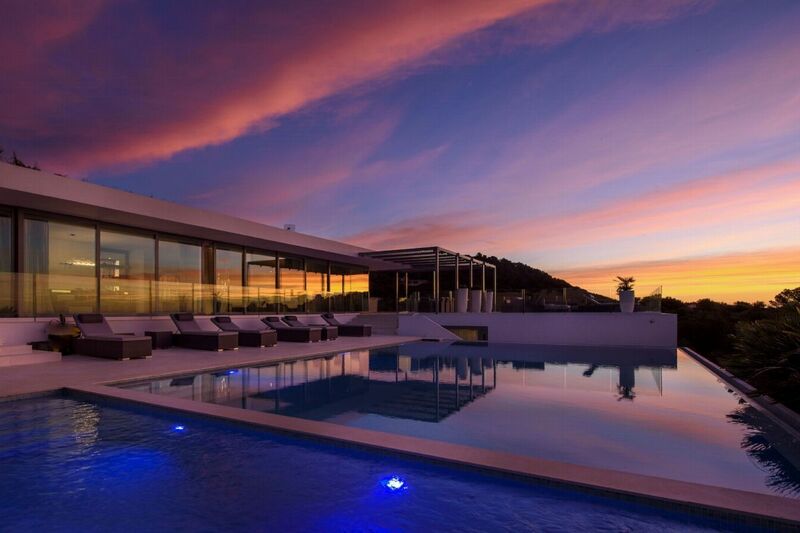 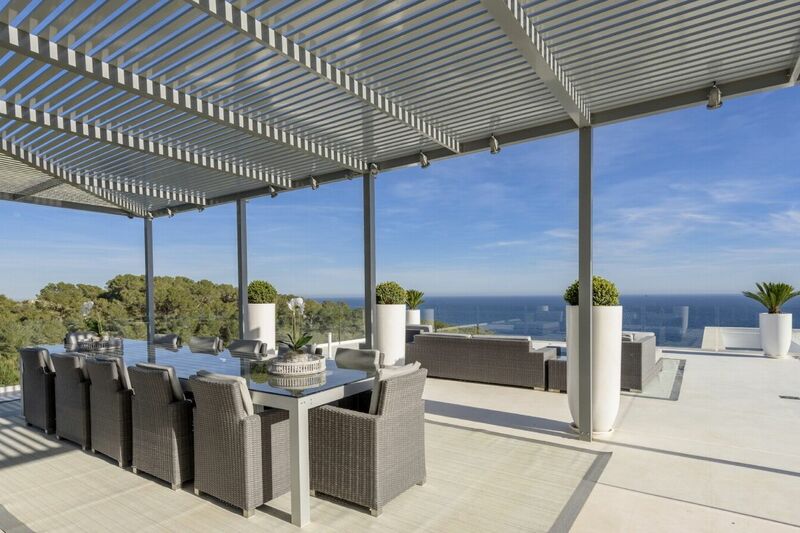 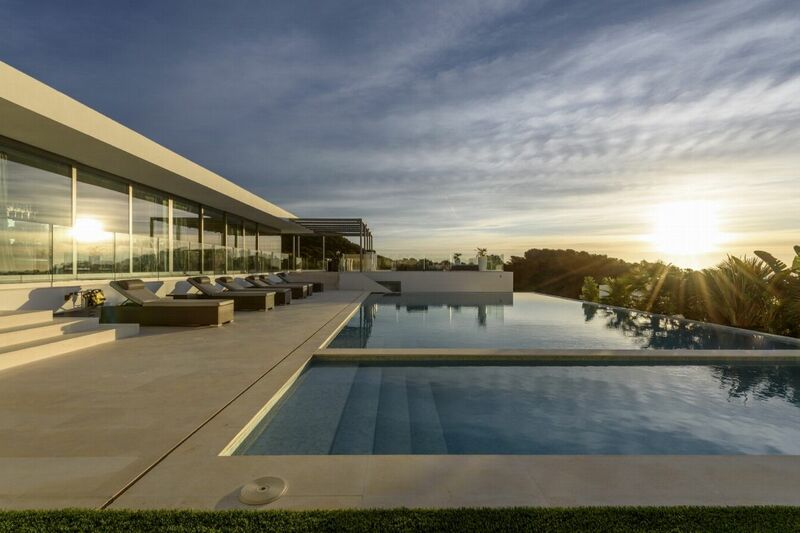 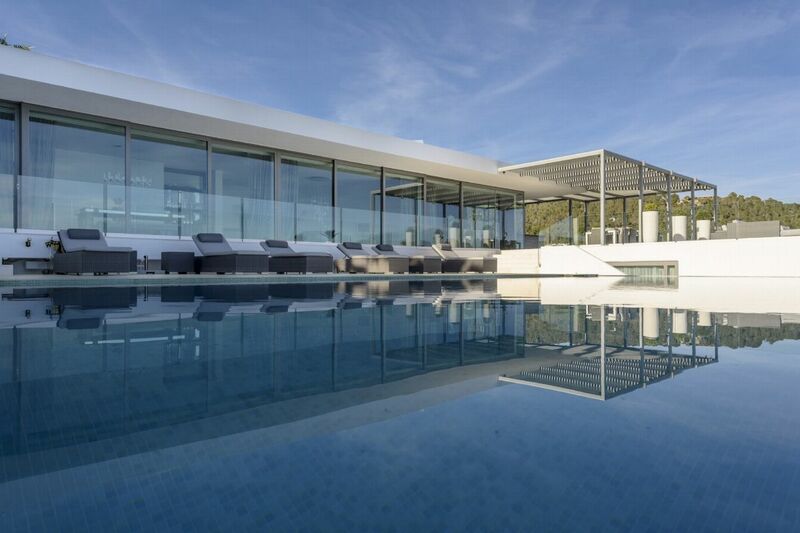 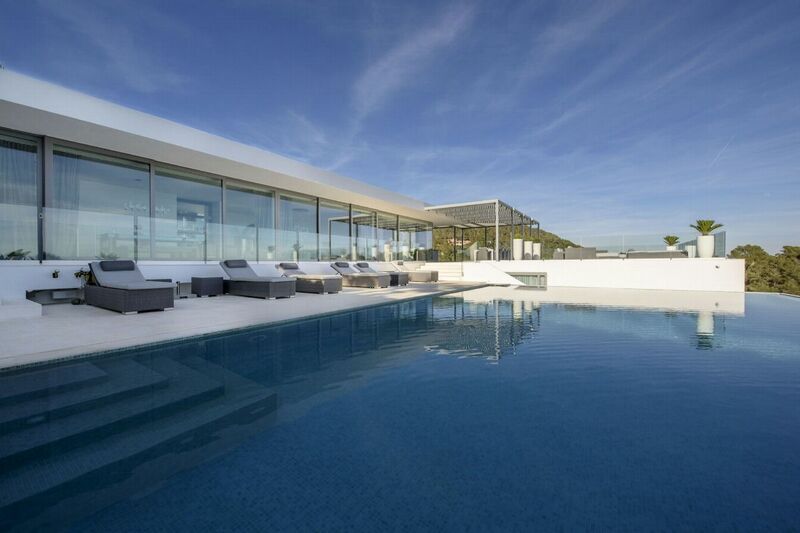 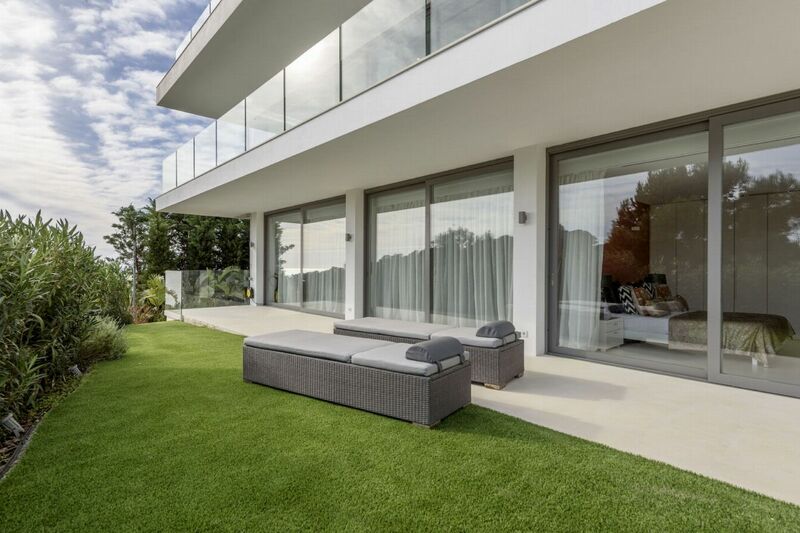 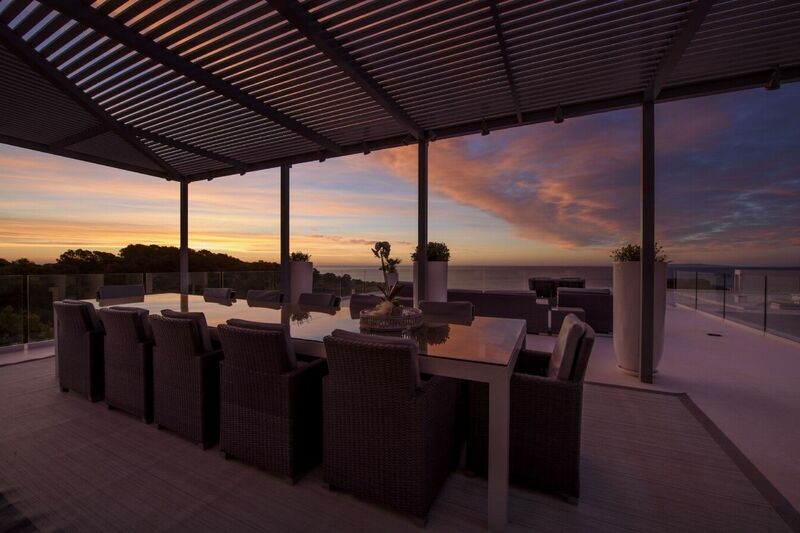 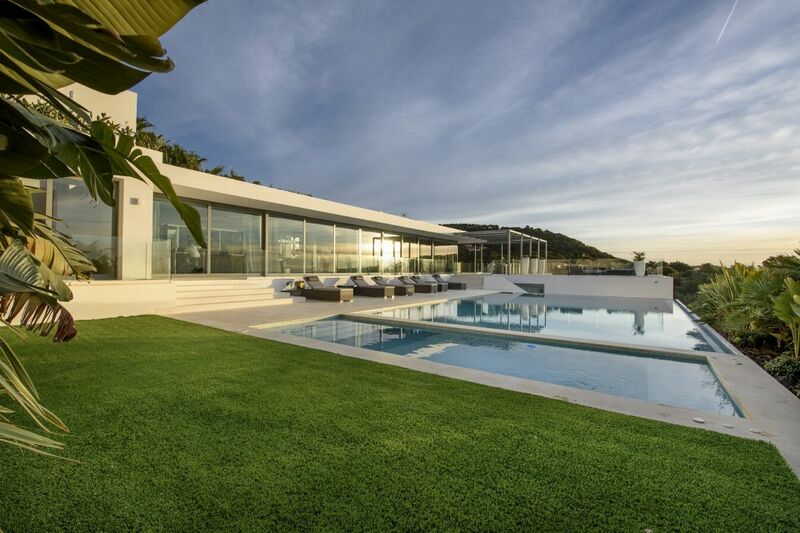 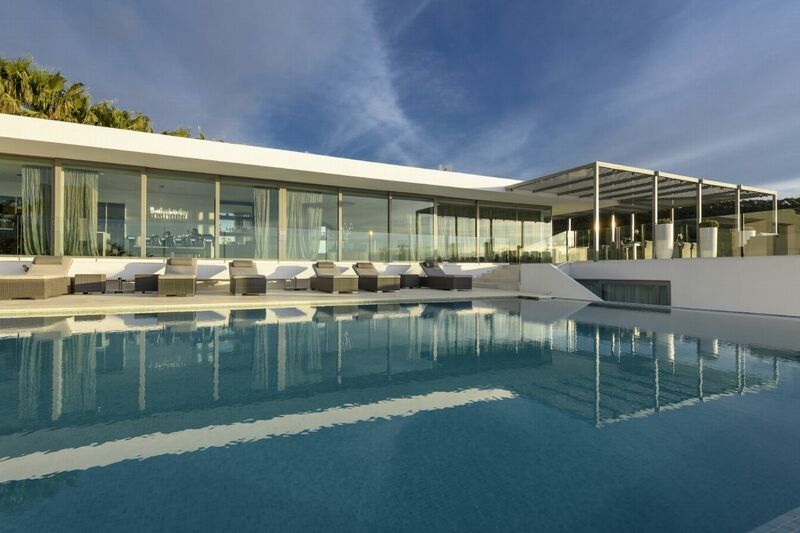 Excellent for family holidays, business retreats or grand-scale entertaining, this villa provides an unforgettable villa experience, is within minutes of many of Ibizaâ€™s most exclusive bars and restaurants and is approximately a mile walk from Talamanca beach. 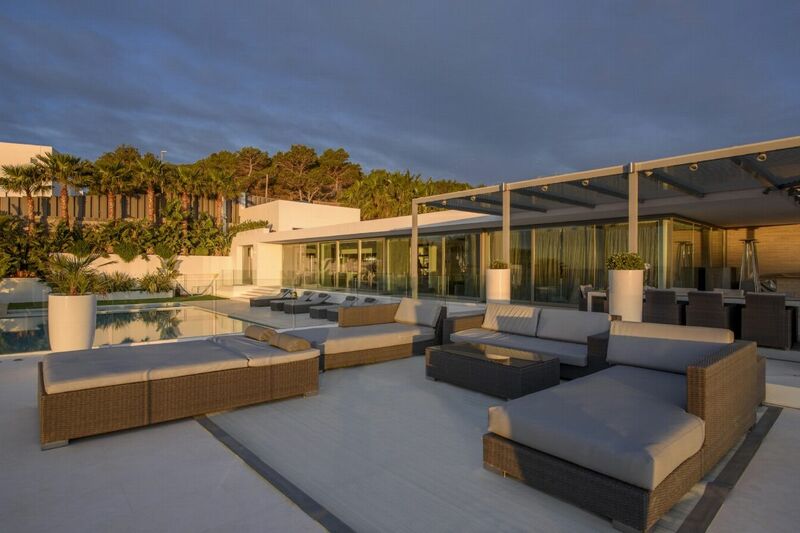 OUTDOOR AREAS Hidden among pine trees and beautifully maintained gardens, this 850-square-metre villa opens out onto vast outdoor terraces and gardens, it features a private infinity pool and Jacuzzi with fantastic views of the Mediterranean Sea and surrounding countryside. 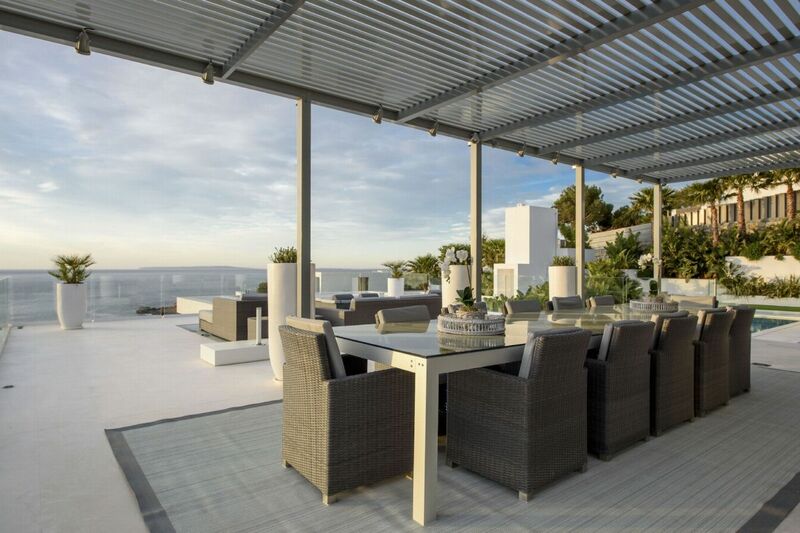 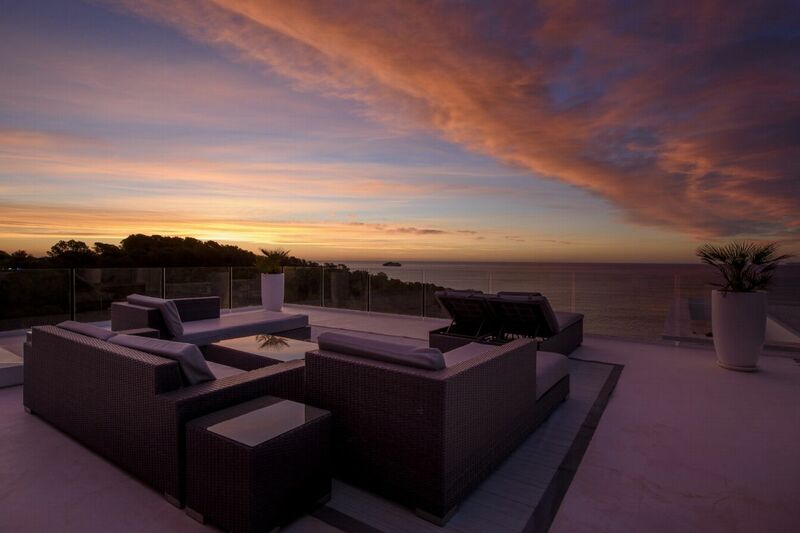 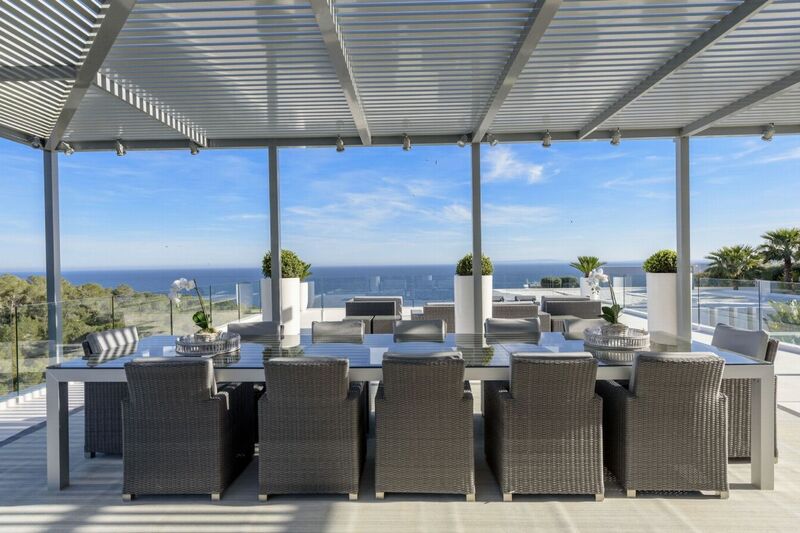 The rooftop terrace offers comfortable outdoor sofa seating and a dining table â€“ ideal for sunset cocktails or dining with magnificent views of the grounds, pine forest and sea. 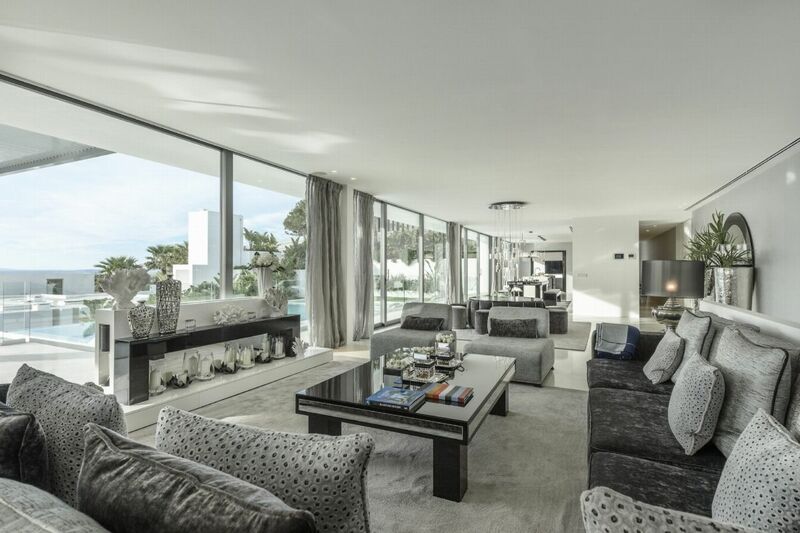 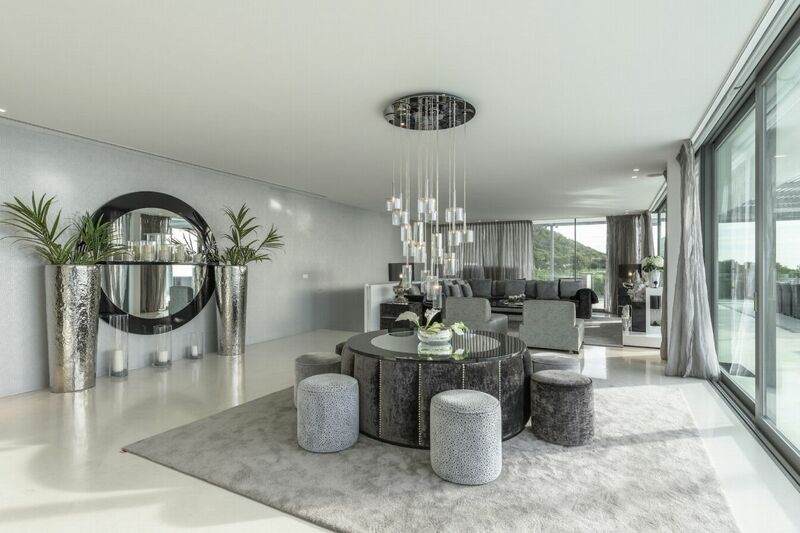 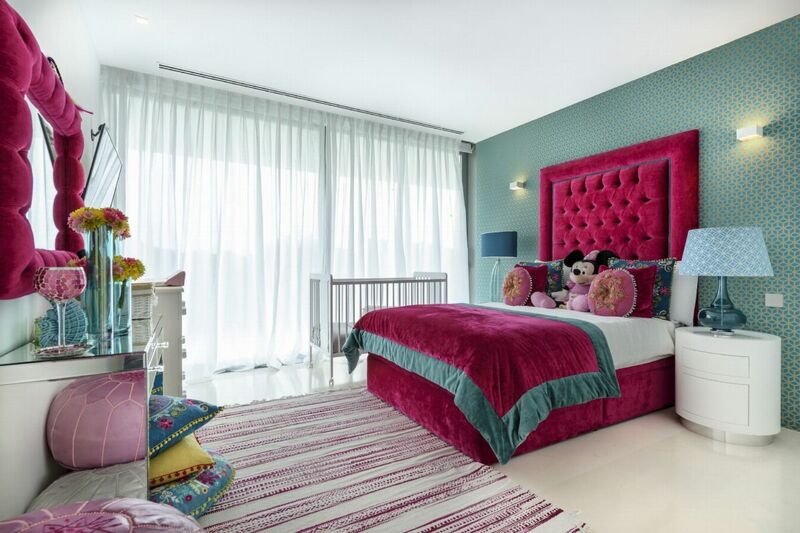 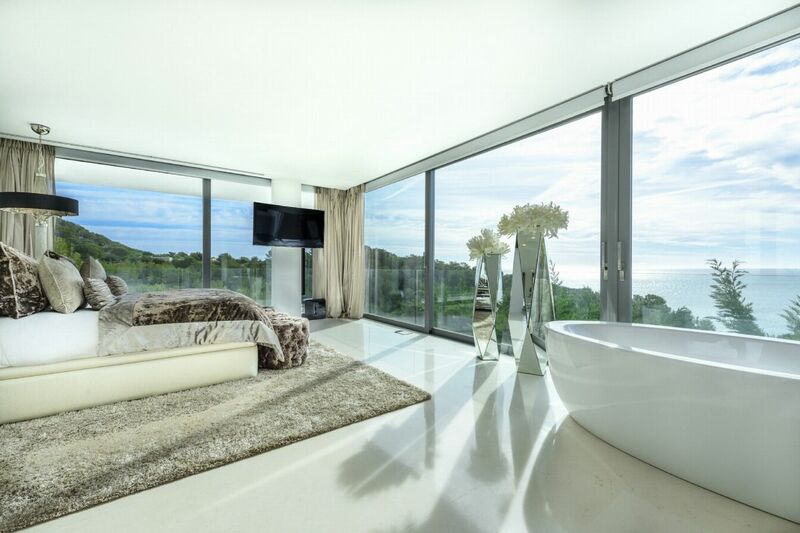 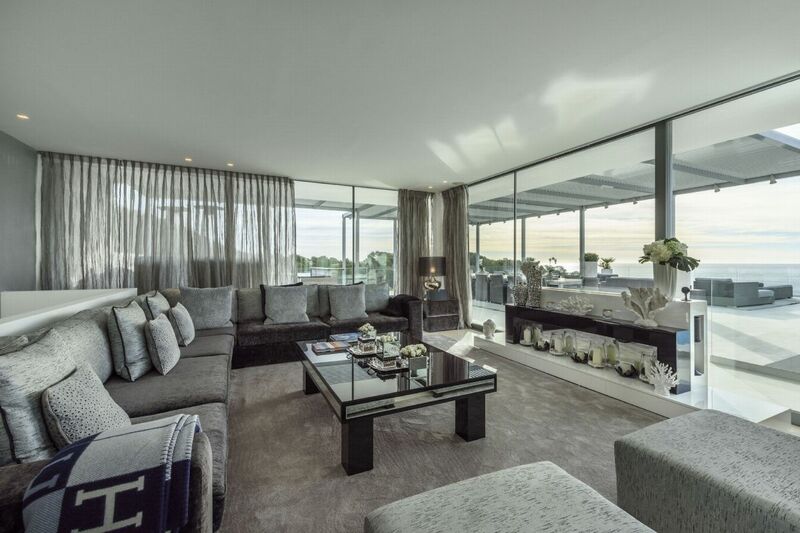 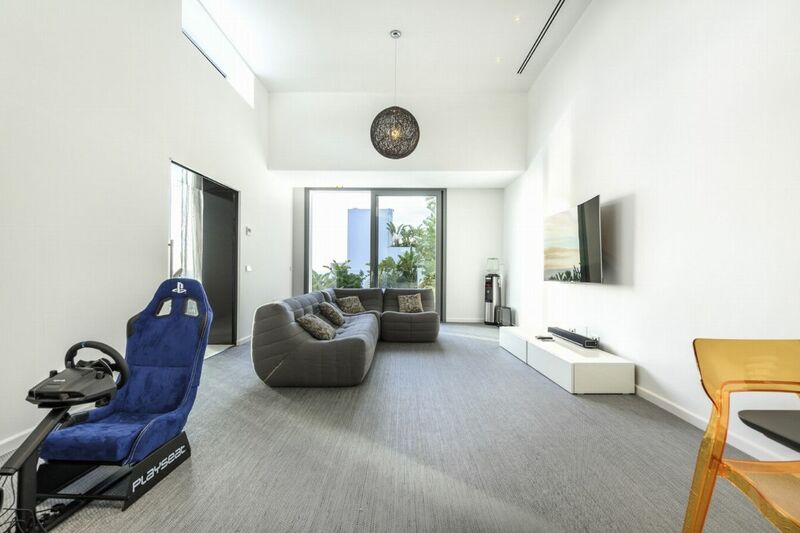 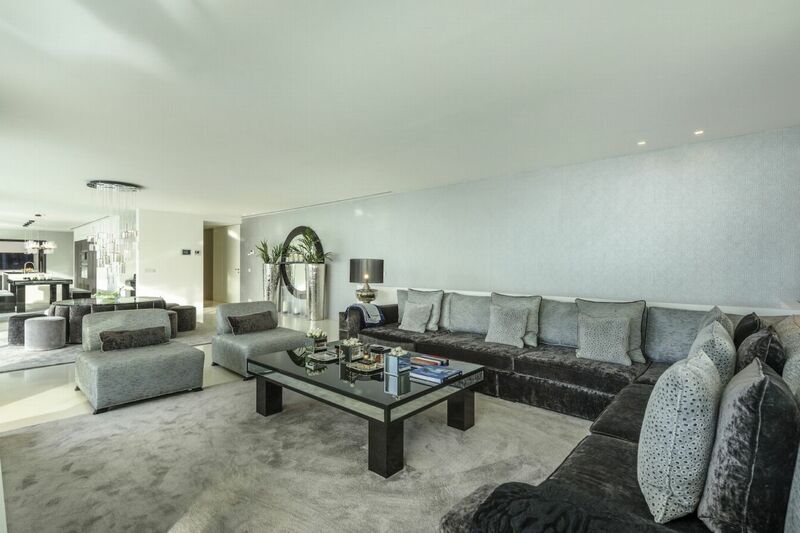 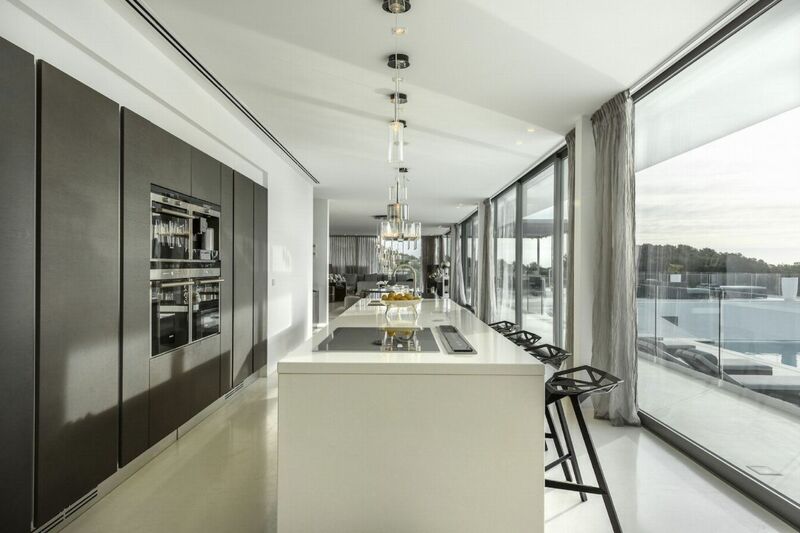 LIVING AREAS Decorated by interior designer Bruno Erpicum, the house includes a grand entrance hall, luxurious lounge area, dining room, fully equipped modern kitchen and play room. 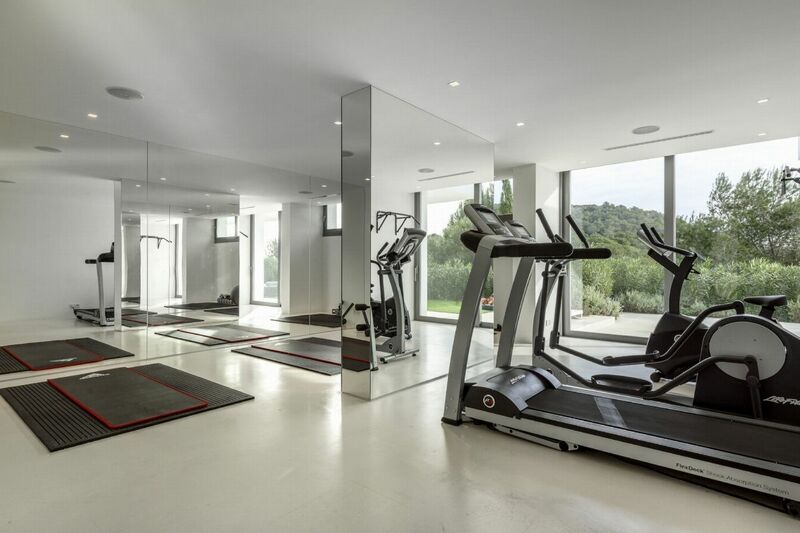 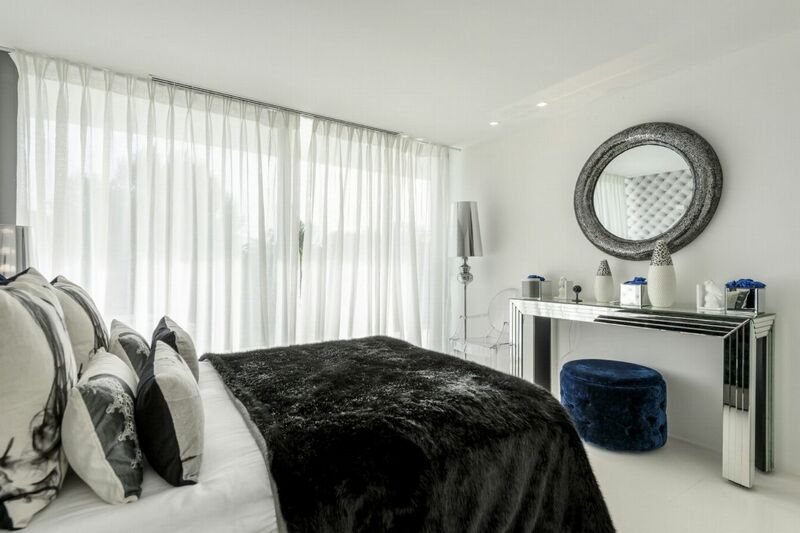 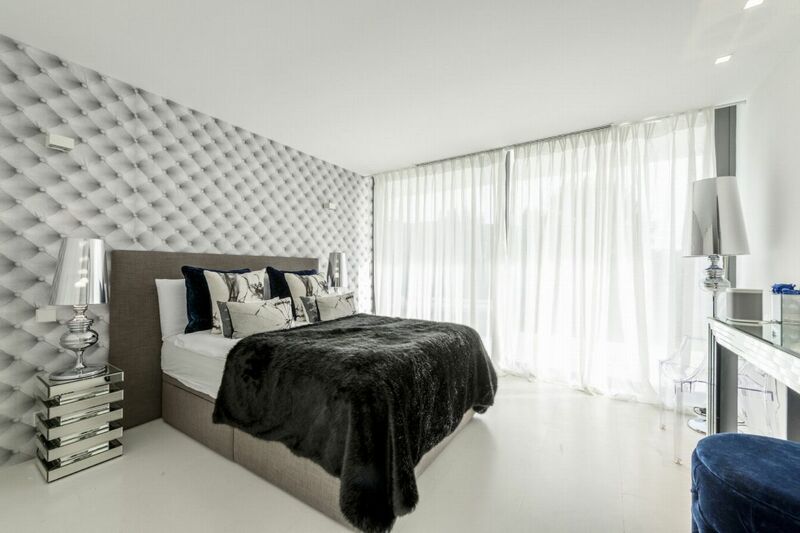 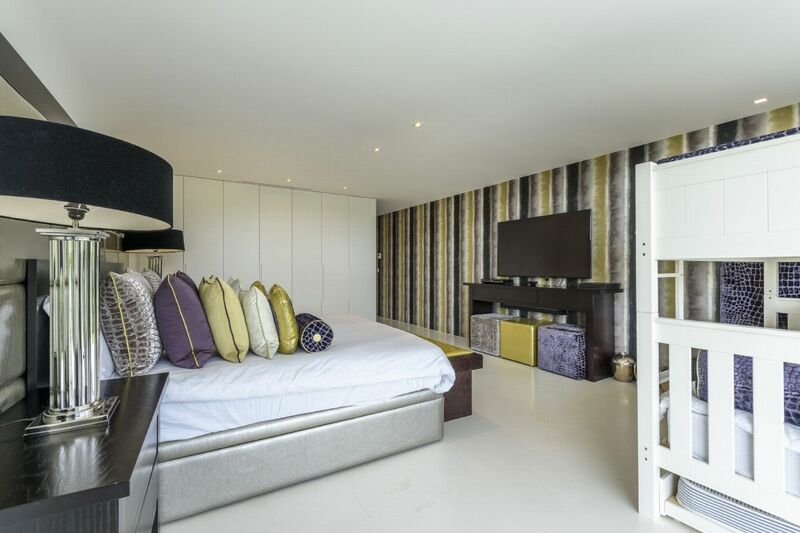 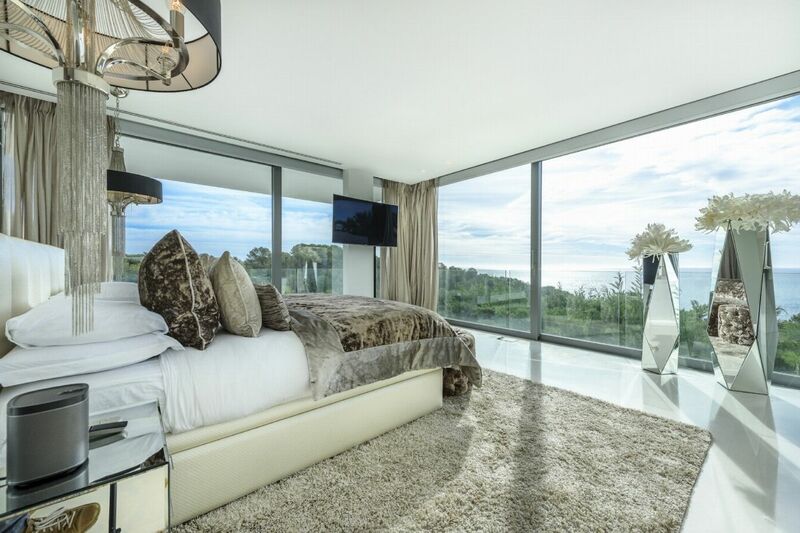 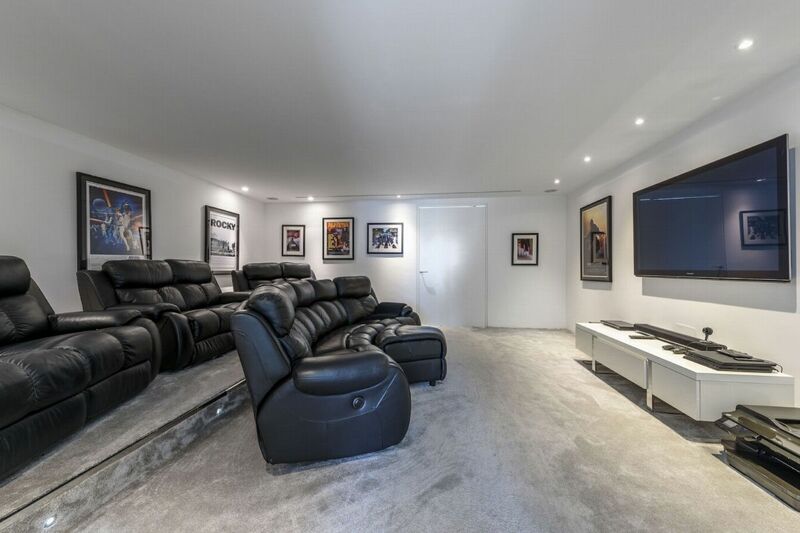 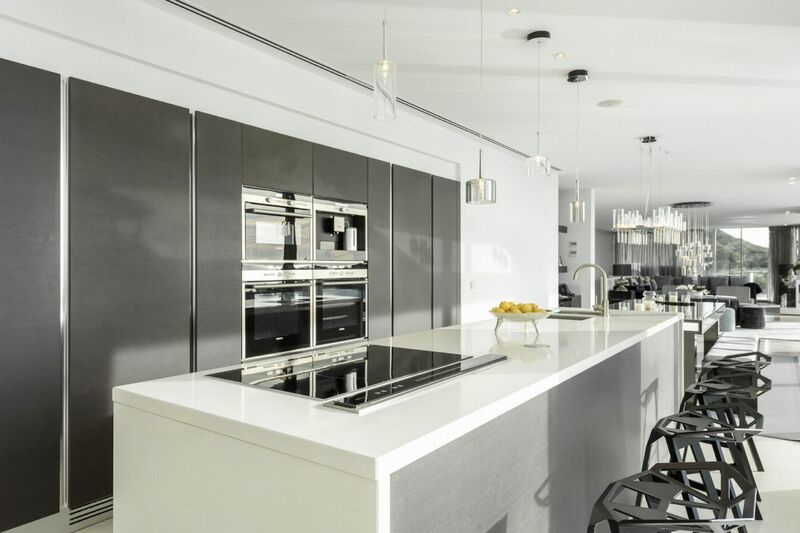 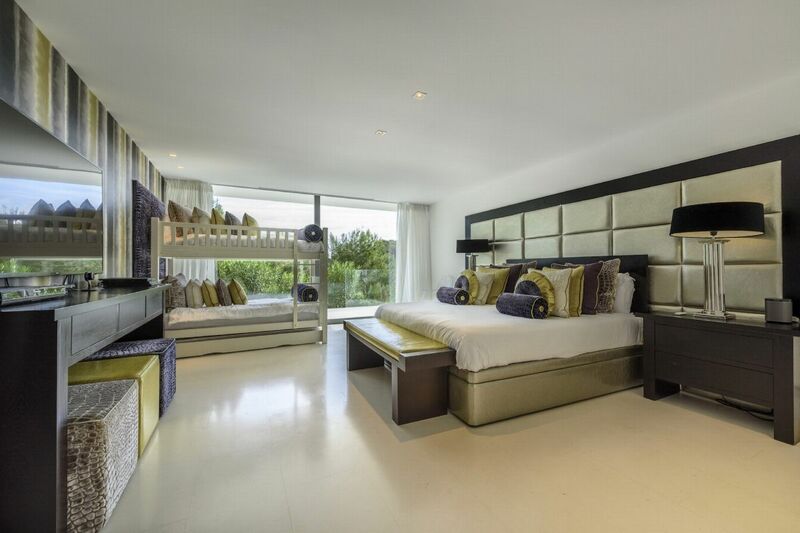 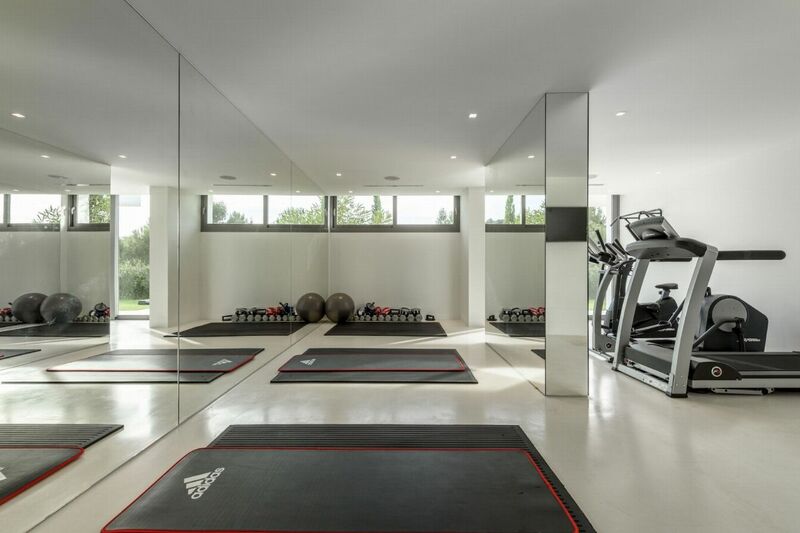 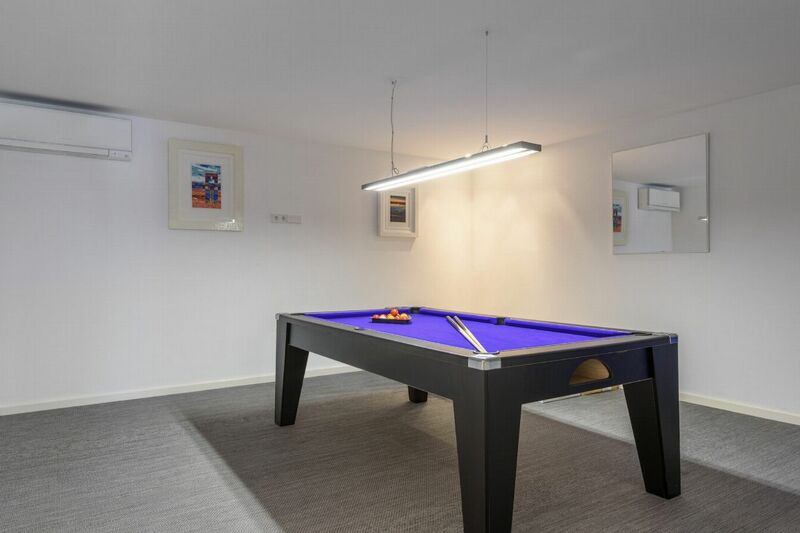 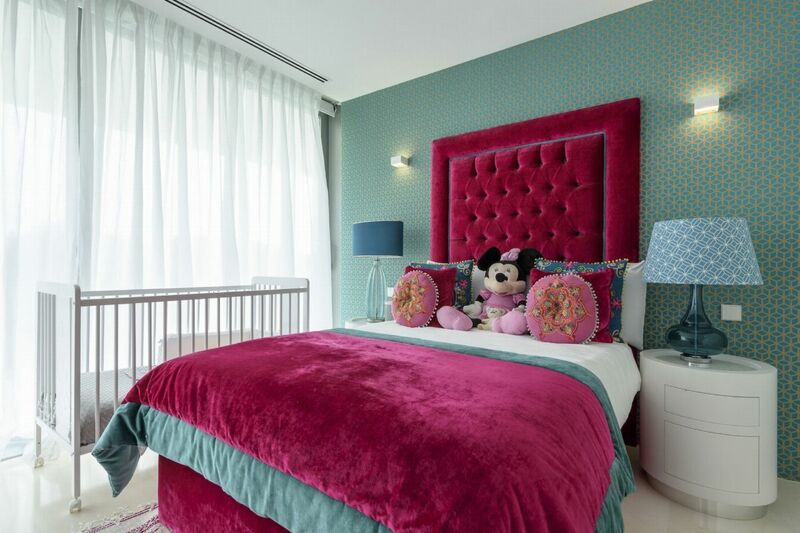 The lower levels feature a fitness area, with a well equipped gym, a pool table room, table tennis and cinema room. 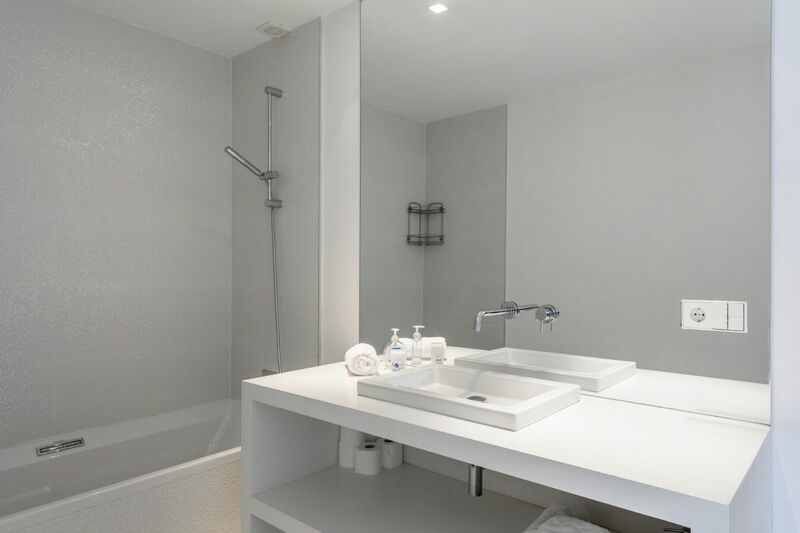 All areas are fully air conditioned and have access to WiFi internet. 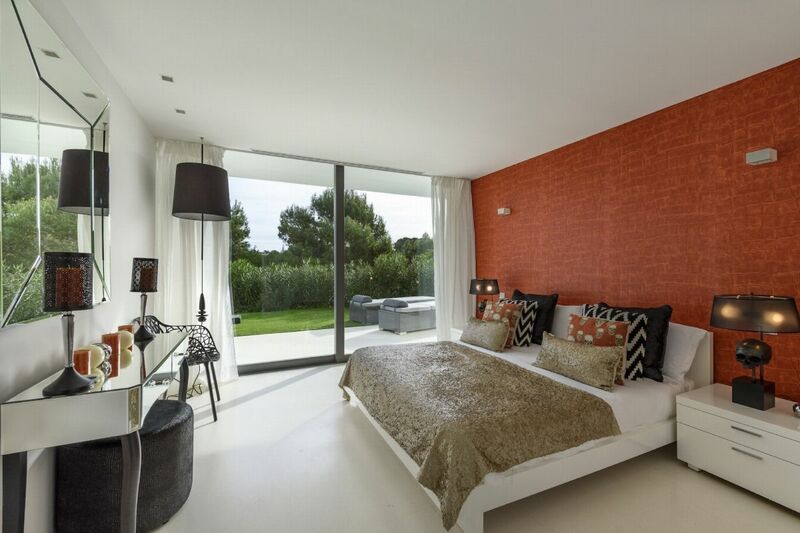 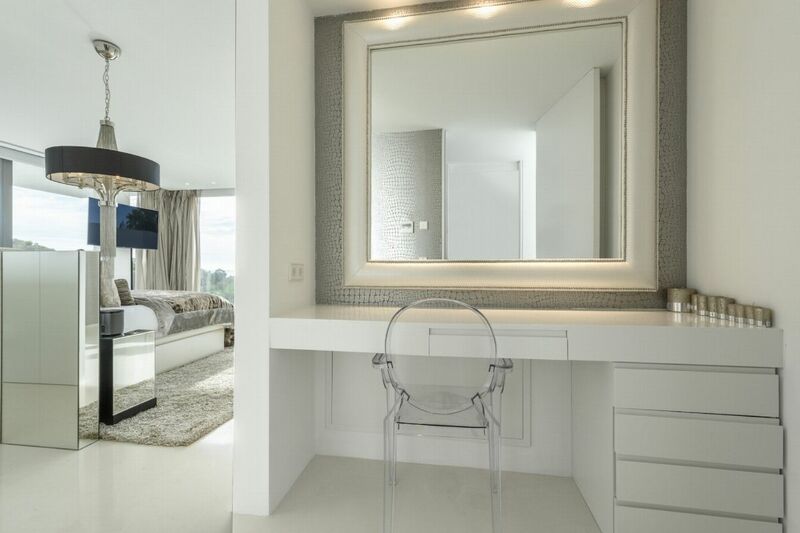 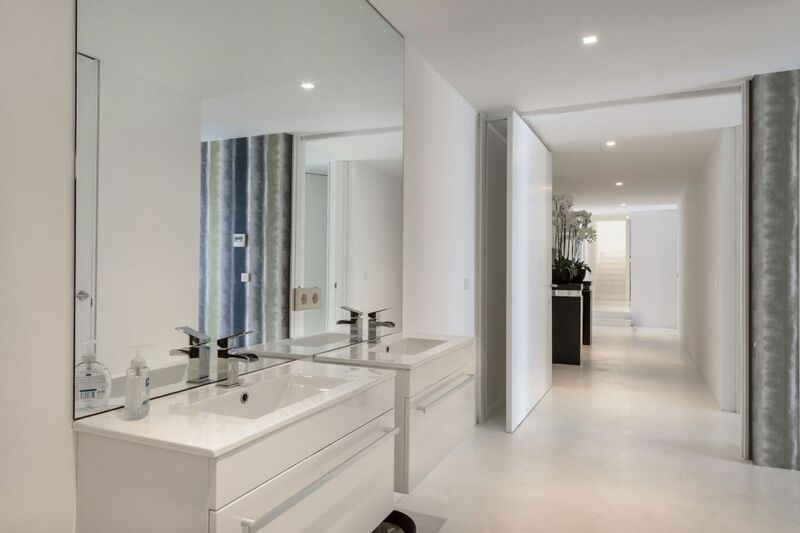 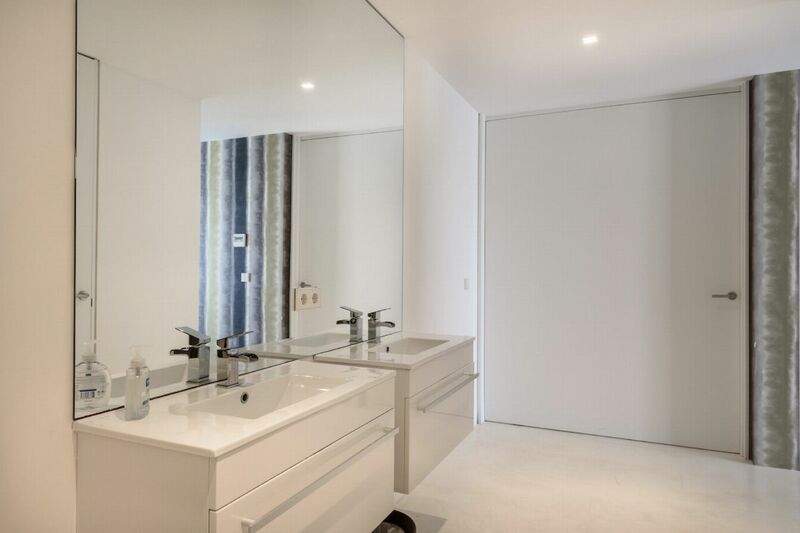 Master Suite - Double Room, en suite.